BUT how did the Nigerian get mixed in? 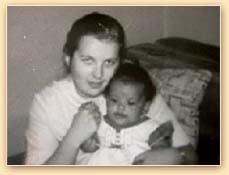 In the early '60s, my precocious 17-year old mother Holly became the first in the family to go to college. There she met a similarly pioneering international student  Magnus, the son of a Nigerian Latin teacher. 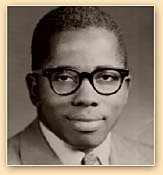 After stints in London during the African independence movements and the American South during Civil Rights activity, Magnus was working on a third degree in rural Washington. For three months  before my grandparents separated them  Holly and Magnus were the only interracial couple on a campus of 10,000 students. For a year they exchanged passionate letters about politics, occasionally meeting in secret, until cultural differences and Magnus's move to eastern Canada led to a break-up. A few weeks later, Holly learned that she was pregnant. The doctor predicted twins. Tossed out by her parents for refusing a back-street abortion, she contemplated suicide. She then spent 6 months in a home for unwed mothers, where  as the only white girl planning to keep her baby, and the first interracial baby at that  she threw the place into disarray.